When it comes to getting great sound, you don’t need to break the bank. Pricey headphones might have their place, but if you’re ready to shop smart and have a goal in mind, you’ll find a surprising amount of great and comfortable headphones for a low cost. Buying a pair of headphones might seem like a tricky task, especially since so much of it will ultimately come down to your own personal taste. However, you’ll find a few things in common with the headphones that make a great value, no matter what kind of headphones you’re into. Whether you want to use your headphones while exercising or while sitting at home, chances are you’re looking to enjoy spending time listening to music. You can’t enjoy a few hours of great tunes if you’re stuck with the basic iPod earbuds; they’re just not comfortable enough for long-term use. If you’re prepared to find yourself the most comfortable headphones without sacrificing sound quality, read on. You’ll find headphones in a variety of different styles meant to fit in a multitude of ways upon wearing them. Ultimately, you’ll want to narrow down which form factor works best for you, which depends on how you’ll use them and what you’ll be listening to. In-ear headphones are small, meant to sit inside your ear. These are usually the majority of lower-end headphones. They’re supposed to sit on the bowls, though there are variants made to rest by the ear canal. Benefits: This is as portable as it gets, which is ideal for those who are looking to listen to tunes on the go. Some varieties may even come with outside noise isolation, making it easier to travel on an airplane or in other loud environments. If you wear glasses, they can be more comfortable to use compared to over-the-ear headphones. Drawbacks: Even though technology continues to improve, it’s unlikely you’ll find top-notch audio quality compared to other form factors. If you don’t like having anything in your ears, you probably won’t find them comfortable either. Some models won’t stay in place, either, making them poor choice to use for exercising. This comes down to your own personal preference. Also known as ear pad headphones, over-the-ear devices were much more popular before Apple released the iPod. Despite their decrease in visibility, they’re still quite worth looking at when shopping for a pair of comfortable headphones. More often than not, you’ll find so-called open models, meaning there is a little two-way sound bleed: You’ll hear the world a bit, and the world will hear a bit of your tunes. Benefits: As far as comfort goes, these are usually the best as they come since they’ll gently rest on the ears rather than inside. 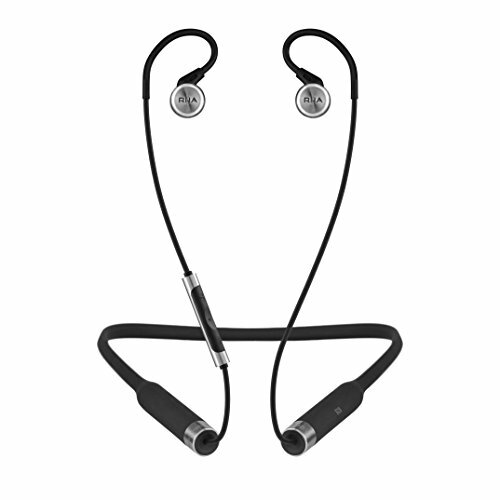 With an open construction, the audio sounds stellar, and they’re usually stable enough to remain on while exercising. In many cases, these headphones are just as portable, though you won’t always fit them in your pocket. Drawbacks: Because of the two-way sound bleed, it’s not the best choice to use these in particularly loud environments. You also don’t want to blast your music in a quiet library, since the audio will emit from your headphones a bit. In addition to this, you might not get the same quality of bass wearing an open model compared to a closed headphone model. 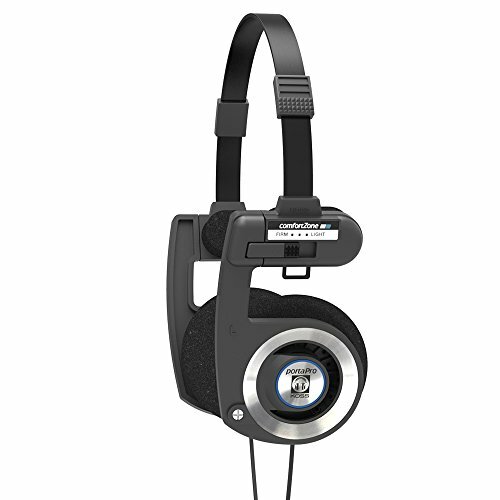 So-called full size headphones feature ear cups meant to completely engulf your ears within. As such, they’re big and bulky products that can come in either closed or open variants. Because they’re so large, it’s best to use them while at home rather than on the go. Benefits: Using full size headphones is the best way to get true clarity of sound, deep bass and true isolation from outer noise. Not only that, but the padding is usually abundant as well, making them some of the most comfortable headphones you can get currently. Drawbacks: Because of their size, full size headphones are usually a poor choice for portability. Some may also find that they’re truly uncomfortable, such as those who wear glasses, have larger heads or don’t enjoy warm ears. The Deciding Factor: Budget or Audio? You can get both comfort and great audio while sticking to a budget. It may not be just as great as the expensive high-end headphones, but it might be good enough for you depending on your needs. There’s a time and a place to get expensive headphones, such as when you’re in a quiet place where fidelity is more important than anything else. If you’re traveling, moving on the go and just want some good sound, you’ll find a number of other comfortable and affordable headphones that will work for you. Anyone who follows sound technology has heard about these Monoprice headphones before thanks to the cult following it seems to have. Although the pro’s reviews are a little hit or miss with these, it’s hard to argue that these headphones provide complete, rich bass and a fully clear midrange sound.Enjoy house music? Jazz? Classical? It’ll all sound rich with these in-ear headphones, all with the bonus of comfort. 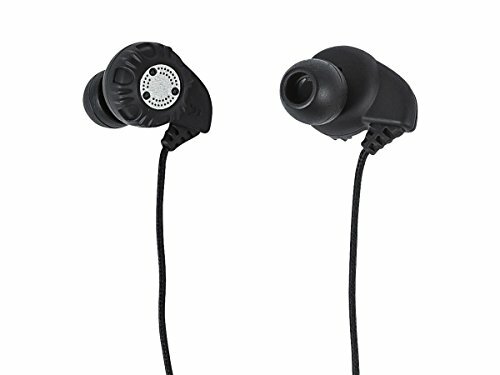 These are a little bulkier than normal for earphones, which is due to having external devices on the outside to help enhance the quality of sound. In other words, the amount of comfort experienced may vary from wearers, especially depending on how long you intend to use these. 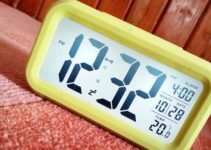 Overall, it’s ultimately a positive experience in short periods of time with varying results for longer periods of time. RHA clearly found great success when it was producing the MA200s, which is made obvious by the fact that you can find them just about anywhere. Still, the company did move on and ultimately come to produce the RHA MA750 series, providing a clear, crisp experience when listening to just about any genre of music. Compared to Monoprice headphones, you might find that they lack a little in the bass range, but they’re still packing a good punch on the low-end. That means you still get to enjoy that electronic music without missing a beat. Still, audiophiles may be a bit bothered by the mildly muddled sound that becomes clear in the highs and mids when listening carefully. For most, the MA750s are a suitable package that is comfortable to wear for long periods of time. You might even find yourself surprised when you hear the similar quality of sound that you might experience with a more expensive product. If you’re having trouble finding the MA750s for sale, the MA650s are a similar enough experience that you’ll be plenty satisfied with. For mid budget, you can pick up a Grado SR80e set of headphones, which offer true comfort on the head and gorgeous sound in the ears. This doesn’t come as much of a surprise, considering Grado’s popularity within the audio hardware community — they’re well-known to be familiar with making good-looking and usable products. In this case, you’ll get an open-air design that allows your ears to remain cool. The earcups can get a little trying after several hours of wear without a break, but they’re well-designed to breathe and keep soft for a long time. Many enjoy the sharp vintage style that Grado generally relies on, all without having to sacrifice any kind of audio quality. If you’re stuck with a budget, you might find it easier to afford the SR60i without losing too much in the process. 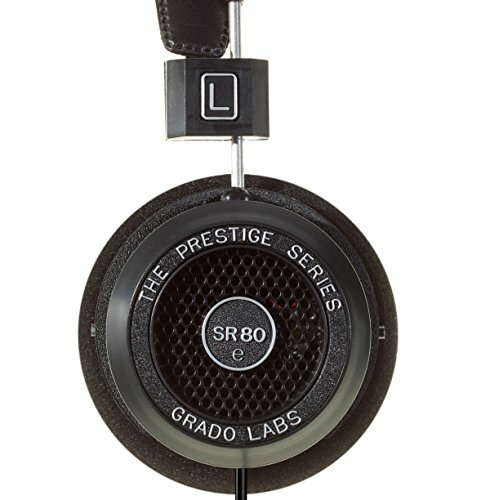 However, if you have the little extra to spare, it’s worth picking up a pair of SR80e’s. If budget isn’t a primary concern, then the Audio Technica ATH-M50x’s are some of the best that money can buy without totally breaking the bank; you’ll find these for less than $150 in most cases. The flagship out of Audio Technica isn’t cheap, but they’re amazing to use. The quality of the audio is superior to cheaper headphones, and the design is meant to feel perfectly comfortable no longer how long you choose to wear these headphones. Not only that, but they easily collapse into a much more portable state to take with you on the go. They’re also sleek headphones but don’t look so expensive that you’d become a target on the street. The ATM-M50x is a killer set of hardware that is worth the extra cash to take advantage of the comfort and the superior audio quality. 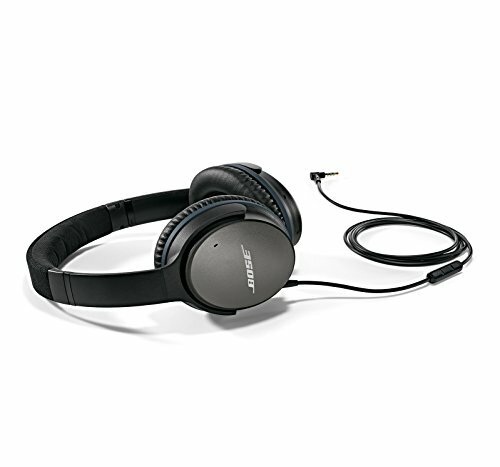 Unlike many other headphones on this list, this Bose hardware actively sports noise cancellation technology, though it does come at a price tipping nearly $300. 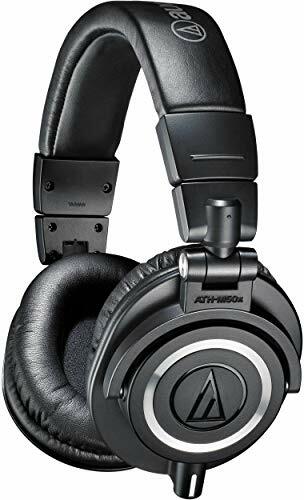 Of course, you can’t argue with the great quality that they provide — whereas Audio Technica has some of the best that money can buy, Bose is the best that money can buy. Featuring a closed design on the back, your music won’t bleed out to the world, and you’ll get to enjoy circumaural earcups that comfortably sit on top of the ears even after hours of use. Best of all, the QuietComfort has proven to be popular with those who work in the office and those who take them for exercise. In some circumstances, you might be able to pick up an extra carrying case with your purchase, such as was the case with the Bose QuietComfort 15s. The case lets you hang onto your headphones for security and ease of transportation when not in use. Koss can be hit or miss when it comes to getting good headphones, but you’ll be pleasantly surprised to see the bar up high again with the PortaPros. Not only are they comfortable to wear and easy to take with you, but they’re also pleasant to listen to. They feature a flexible design that allows them to be durable and adjustable while remaining perfectly affordable. In fact, you have the option to adjust the strap such that the headphones could rest softly or firmly against your ears as desired. With cloth on the earpads, the pads feature great ventilation. Although it has an open design, meaning the outside world might be able to hear your music, the headphones produce a strong quality of audio that even passers-by could appreciate. Not only that, but you’ll also get a lifetime warranty when signing on with these headphones — who can argue that? For a relatively small price, you can pick up the S4i-IIs, offering in-ear headphones along with an in-line microphone for added versatility. They’re a bit older now, but they still hold up well and don’t cost as much anymore. 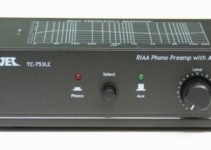 The in-line controls can be hit or miss depending on the device you use, but the headphones are still comfortable to use.